Remodeling projects can be difficult on the entire family. We all want renovations to be completed almost as soon as they get started because we want results, beautiful results, and fast. If you’re remodeling and have children, the entire project can feel like an extra strain on your family because children can appear to be in the way. However, I believe, you can help your kids embrace your families renovating days and keep your peace of mind, by keeping them involved and engaged. For me, homeschooling my kids during our renovation has been the largest challenge, but the most rewarding aspect is giving my girls an opportunity to come up with their own room designs and doing other simple tasks like helping us measure, paint, and clean up. 1. Give your children specific easy tasks to complete. Of course you need to watch them as they work, or better yet, work along side of them, but kids can help you complete projects faster when you tell them exactly how they can help. Children love being able to do “adult” type of jobs because it gives them a strong sense of responsibility. It is also important how you present the task to the kids. Even mundane tasks can become exciting when presented in the right way. If you don’t seem excited about the task the kids are less likely to be excited and motivated to complete it. 2. Allow your child to have an opportunity to pick something in the new design. My girls and I looked at wall prints on Pinterest, and one decided that chevron painted walls were her favorite. Of course, I want my kids to take pride in their room and keep it clean, so giving her a say in the paint choices for her room was an easy decision for us to make. You may be wondering, what if your child picks something that you abhor? Well, I gave my kids controlled choices, which means, we discussed colors and at the paint store, I picked several that I would consider and then allowed her to choose her favorite from the 3 options. Of course, she didn’t pick my favorite color, but she did pick a color that made her happy and that’s what matters most. 3. Let them have fun. Verbally having a say is great, but being able to actually get your hands dirty is even more fun. Once my husband and I mapped out the grid lines for the chevron walls and added painters tape, we decided that the girls would be able to paint too. Painting really isn’t as simple as it seems, but if you show your kids the right technique and give them good tools, everything should work out fine. Also, note, the finished product may not be perfection like a skilled painter, but it can still be completed nicely. 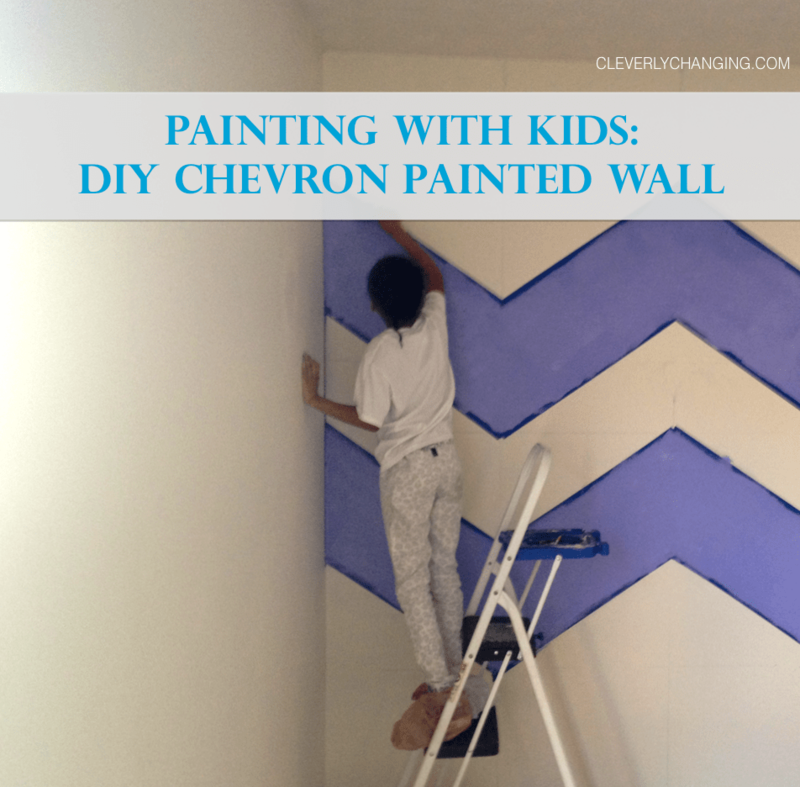 When we allowed our daughter’s to help paint the chevron wall I had to go behind them and wipe up their mistakes, but touch ups were fine with me. If you have a warm wet rag, the fresh paint wipes off without a problem. Tip: Keep kids clothes clean while painting by having them turn them on the wrong side. Also give kids a smaller container of paint to work from to avoid spills and drips. The best part is that together, your family will create lots of memories from your time remodeling and you’ll cherish the finish results even more. After my daughter’s room was painted, she loved it so much when she left her room, she’d say goodnight room. Giving her a creative input has done so much more than just personalizing it, it has helped her feel that we value her opinion and trust her. 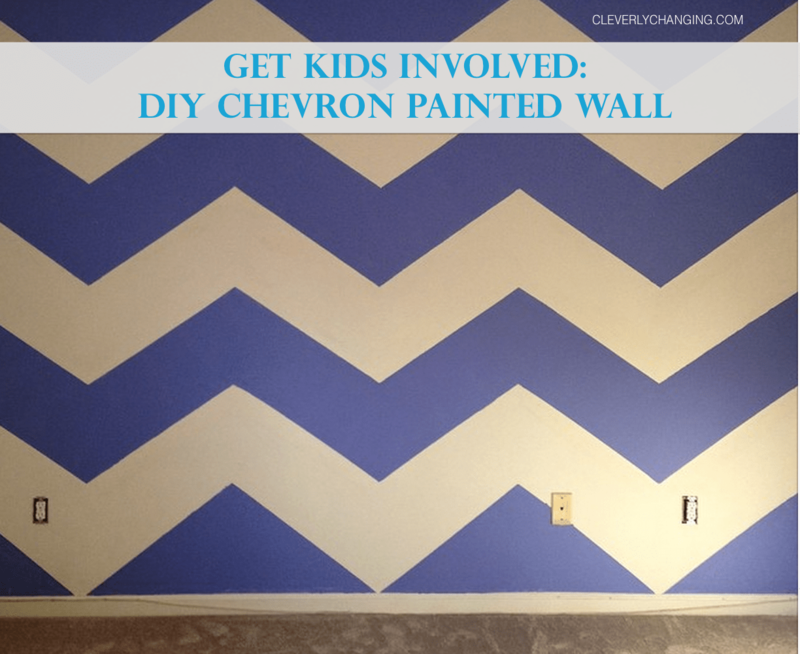 * Do you want to create your own chevron painted wall and need a tutorial on how to get started? Well, we used Casa Cullen’s tutorial on how to draw the grid lines for our chevron wall and it turned out great.